As you all know Mr Rae is leaving us this week. He has added a lot of fun during his time at Lasswade so thought we’d share some memories! We’ll all miss you. 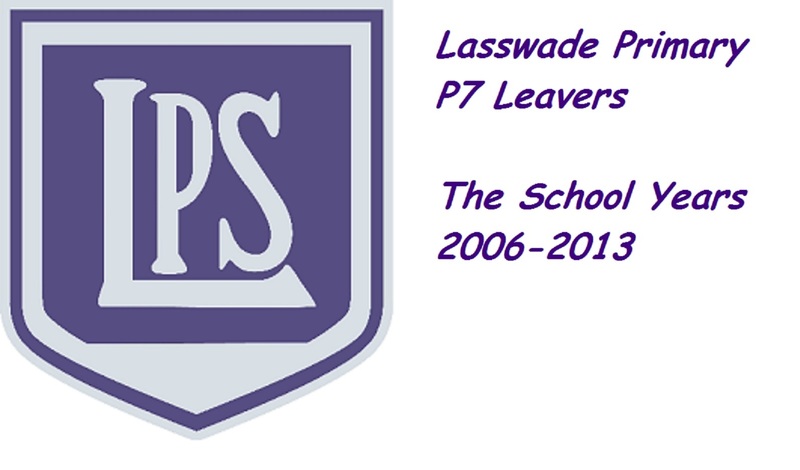 It’s farewell this week to many people at Lasswade Primary so tissues at the ready! We have several staff retiring after many years of working at Lasswade Primary. Mrs Elspeth Mitchell, Mrs Stewart and Mrs Czemerys are leaving us on the last day of term. 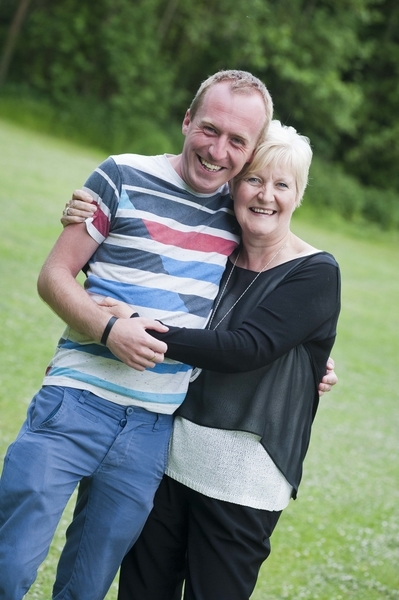 We will miss them all very much and are busy planning some exciting retirement surprises for them! Miss Binnie will be leaving us to take up a post at Colinton PS and Miss Singleton is leaving us at the end of her NQT year. Miss Campbell’s contract has come to an end as Mrs Stevenson will return from her secondment at Hawthornden. We are sorry to see all these ladies go. Mr Rae will also be leaving us to take up a Depute Headtecher post at Flora Stevenson Primary. Finally our P7’s will be moving onto High School and we wish them all the best for their futures which we are sure will be bright. Here is our last newsletter this term with news on staffing, lots of achievement to celebrate, a report on our community focus work and a request for help with the Community Hospital’s garden. Also results from the sports events and congratulations and farewell to the P7s! 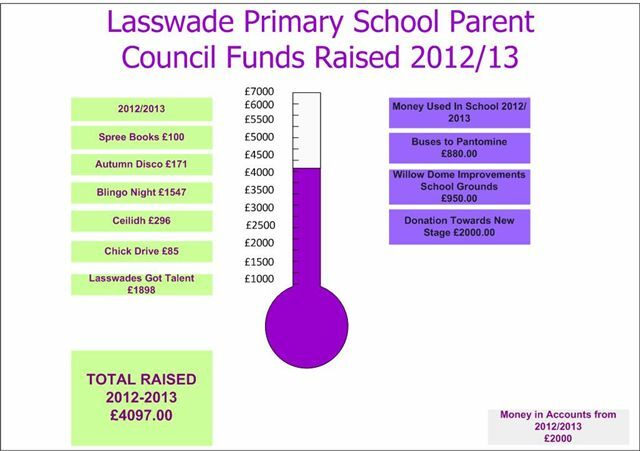 As we near the end of another busy school year we are delighted to say that the Parent Council events have helped to raise a whopping £4097 for the school. This amount has been raised through various events as listed below. The money has been used to subsidise buses to the pantomine, make improvements in the school grounds and help towards getting a new stage for the school. We are very proud to announce that Lasswade Primary pupils were multiple winners at the Inspire Aspire Awards. Mr Rae and Miss Singleton attended the awards ceremony at the Glasgow City Chambers last night – Tuesday 18th June – with three pupils who had received a special invitation. Charlotte Bowe (P7x) – 1st place across all Scottish schools and Best in School award. Robbie Moody (P7y) – 2nd place across all Scottish schools. Anna Page (P6y) – 3rd in the Primary 6 finalists award. Inspire Aspire aids pupils to discover more about themselves and others to help define their own aspirations. It is a unique programme for schools to help make the most of the teaching and learning opportunities from the London 2012 Olympic and Paralympic Games. Using a special poster template the Primary 6 pupils developed a personal plan of action inspired by the Olympic values and the character qualities demonstrated by Olympians and Paralympians. The Inspire Aspire – Global Citizens in the Making project, encourages young people to look at their vision for the future using the Glasgow 2014 Commonwealth Games as a focus and stimulus. The Primary 7 pupils looked at inspirational figures from the past and present and then used this to envisage their ‘vision for a better world’ to create their poster. There will be an open session this Friday from 9-10am to share the work of our Friday Focus Groups. Tea/Coffee will be available in the hall and families can collect their son/daughter from class to see the work of the groups. Active Schools along with a number of other Midlothian Council departments and initiatives have developed their own website to use rather than the council one. It was only launched this week and will fill up with more information as time goes on, but feel free to take a look and any feedback you may have would be appreciated. 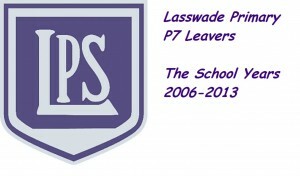 On the website there is a page for Lasswade Active Schools where you can download the latest copy of the newsletter along with the activities on offer each term I will be putting the August-October sessions together over the summer so it should appear here to download by the time the pupils return and I will notify you by email. The newsletter itself should be coming home in school bags next week. We are running an initiative called the Midlothian Commonwealth Passport where children can get Gold, Silver and Bronze medals depending on how many sports they try between July and March. The opportunities are listed on the website however it is only open to P4-7 (2013/14) school year (apologies if this does not apply to your child) I have been round all the schools with either class visits or assemblies to promote this and the children should be bringing their passports home any day now. The link below will give you more information however if you have any questions then please get in touch. Some fun activities are also planned so bring the younger members of the family too. Please come along to support our enterprising pupils – you never know we may have some future apprenticesl!! We are looking for parents to come on our Community Walk on Monday 17th June. We will be leaving school from 9.30am onwards and will return by 12 noon (P1-3) or 12.25pm (P4-7). P1-3 will walk to Bonnyrigg Park and P4-7 will walk to Rosewell. The walk is weather dependent and could be cancelled at hort notice but we hope that won’t put you off from joining us and getting some good exercise.